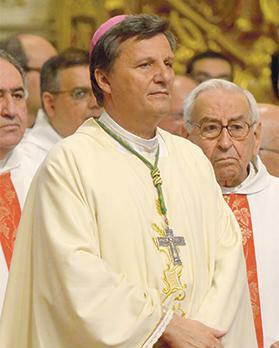 Gozo Bishop Mario Grech has taken up the plight of young Gozitans studying in Malta who are being priced out of the rental market. The exorbitant rents being asked are placing “a financial and psychological burden” on the families of these Gozitan students, Mgr Grech said. He noted that students were being asked for €200 a month to rent out a shared bedroom. Mgr Grech also questioned the market forces that were pushing up residential rents to unaffordable levels for families – especially single mothers with young children and new couples trying to settle down. A booming rental market has led to higher monthly rates being asked of tenants, which has created hardship for low-income families and the elderly. But last week, the Gozitan University Group also cast a spotlight on the plight of students who rent out apartments in the vicinity of the university to avoid making the daily trip between the islands. The group reported that many students were not finding affordable accommodation because landlords preferred to rent out to wealthy foreigners, who could pay €1,000 a month. Mgr Grech referred to the difficulties caused by rising rents in a homily delivered at the St Francis of Assisi church in Valletta to mark the end of the month dedicated to prayers for environmental protection.